There’s a beloved and well-run small specialty store chain in Boston called Magic Beans. 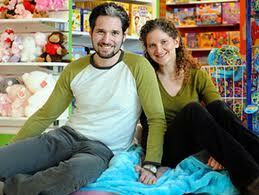 They are known for offering quality juvenile products and toys, alongside excellent advice. After eight years of building trust, Magic Beans deserves to thrive. And it seems to be doing so. But like most specialty retailers, Magic Beans is seriously threatened by Amazon and rampant online discounting. Maybe that sounds like nothing new. We watched our independent bookstores fall one by one. But what is different here is that the founder of Magic Beans, Sheri Gurock, is taking positive action and articulating the issues her industry faces beautifully in a new article from Kids Today. The manufacturers need to stop selling direct to the consumers. They need to thumb their noses at the flash sale brigade. They need to think hard about whether or not they should do business directly with Amazon, which doesn’t even try to make a net profit on most of the things it sells. They need to commit to making the specialty retail channel a cornerstone of their growth strategy. The demand will always be there for these outstanding products. Let’s funnel the customers into the stores. Maintaining specialty retail jobs. How many of us got our first exposure to business in those shops, both as customers and as employees? Enabling meaningful R and D for consumer products. You simply can’t invest in great new products as a manufacturer if they are going to lose their best place for distribution and customer feedback. One of my key insights for developing Daily Grommet occurred when I worked at Playskool. In my short tenure there (two years) I saw our product line cut in half. Why? Our retail partners were rapidly shrinking and the four large players determined our product line. They simply could not support a broad product line in the way that our specialty retailer channels traditionally did. So the huge R and D capability of Playskool was underutilized and the developmental needs of infants and toddlers severely under-served. Gurock and Magic Beans are fighting a meaningful battle on the toy industry front. It may be “game over” for the books category, but we don’t have to concede everything else we treasure. We should be smarter than that by now.